Ferretti Group, in the year of its 50th anniversary recently celebrated in Venice, is attending the 41st edition of the Cannes Yachting Festival – September 11th to 16th – with five exciting premières and a fleet of twenty-five additional models from the group. 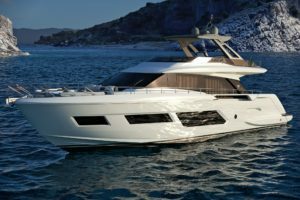 Ferretti Yachts 670 is a flybridge yacht designed to highlight space and liveability, raising the brand’s already outstanding levels of elegance, comfort, and performance. 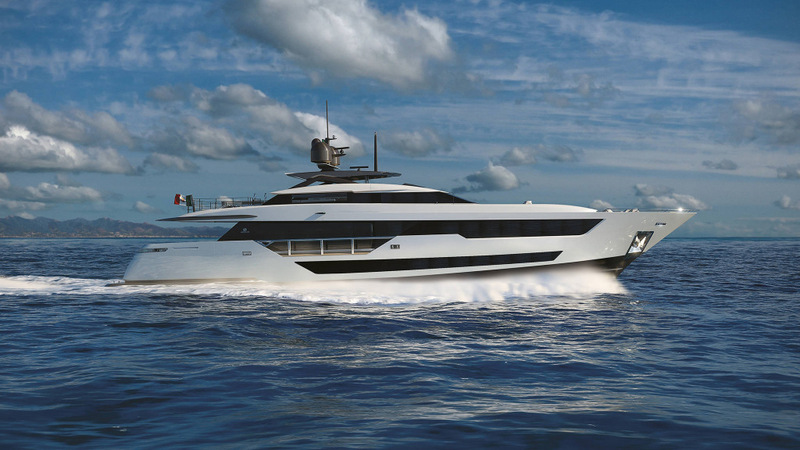 Developed by the Group’s Product Strategy Committee and Engineering Department, the 670 is the first Ferretti Yachts vessel with an exterior design created in partnership with architect Filippo Salvetti and in-house interior design. 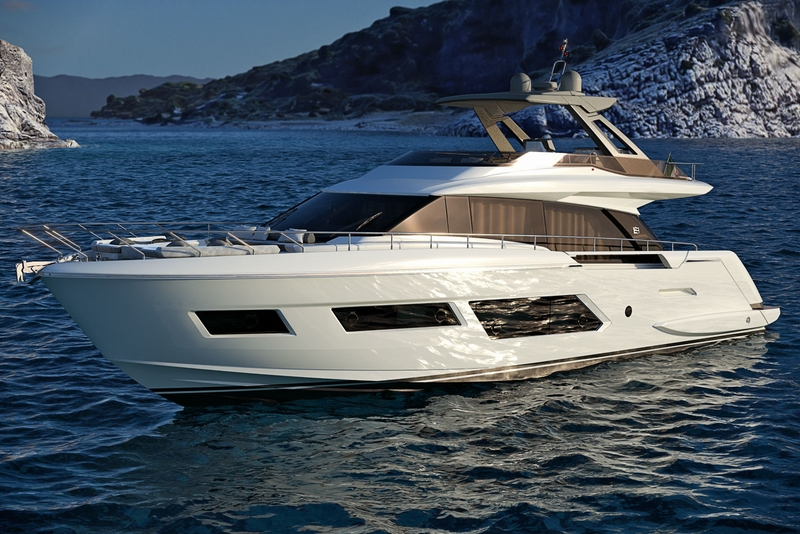 Ferretti Yachts 670 maintains the sleek lines and the clean forms of the latest models, with an excellent updated design of the spaces, for a perfect mix of socialisation and independence. The 20.24-metre 670 features solutions that are usually found on much larger yachts, thanks to a clever optimisation of the onboard space. Amenities include the large flybridge with its area of 25 square metres that make it one of the most competitive yachts in its category, and the bow that features a living space that can be converted into a spacious relaxation area, a true innovation in terms of liveability and comfort. Below decks, the master suite is situated in the centre of the yacht and includes a large study that serves as an antechamber. 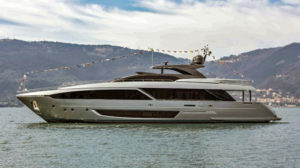 Custom Line 120’ is the first Custom Line to bear the signature of Francesco Paszkowski Design, the design studio that partnered with Ferretti Group’s Product Strategy Committee and Engineering Department. 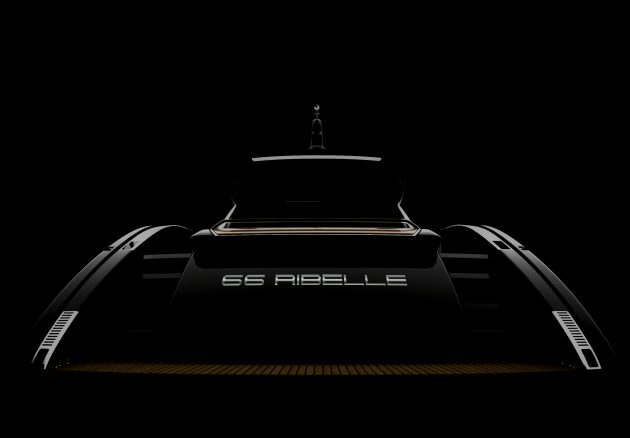 This unique yacht reimagines and combines stylistic features and elements of automotive design and residential architecture, adding in-depth research aimed at enhancing forms and volumes through furnishing choices in line with the very latest trends of contemporary living. Of note is the innovative glass door that gives access to the lounge; in addition to the usual slide opening of the two glass panels, it also has a tilting mechanism providing a 45° inclination. Thanks to this engineering marvel, developed in conjunction with an aeronautic company, guests can enjoy a single liveable space between cockpit and lounge. The particularly generous spaces are a constant in all the areas, as confirmed by the forward and aft garages designed for water toys and tenders. In addition, Custom Line 120’ is the first yacht that makes it possible to directly connect the flybridge to the forward zone by means of the side passageways with access from the monkey bridge as well, creating a single large deck of 100 square metres. 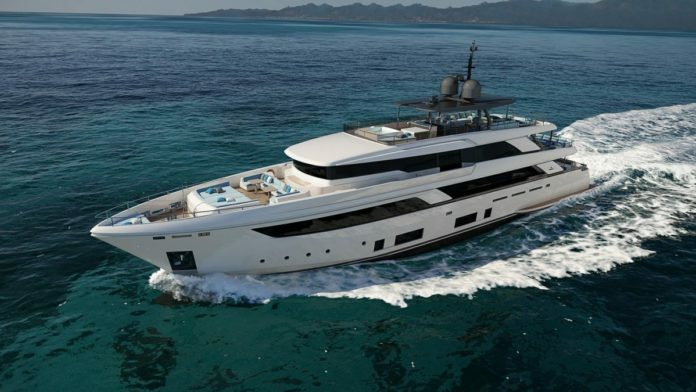 Custom Line Navetta 42 is the brand’s largest model ever built and the first to exceed 300 GT. The new flagship of the fleet is the result of the collaboration between Studio Zuccon International Project and the Ferretti Group Product Strategy Committee and Engineering Department. The new Navetta 42 proposes a layout of the completely customisable interior spaces that best showcases the ship’s generous volumes. The result is better organisation of on-board flows, total privacy for the owner and his guests, and great freedom of movement for the captain and crew. A vast suite on the main deck is available to the owner, while the layout of the lower deck provides 4 VIP cabins for guests. The stern area is entirely dedicated to leisure, conceived as a large beach club at sea level, and its entertainment function is enhanced by the new launching and retrieval system for tenders and water toys from the garage that opens from the side into the sea. 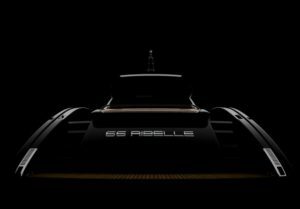 It’s the new fibreglass flagship of the fleet and the second-born, following Riva 100’ Corsaro, of the brand’s updated flybridge range. 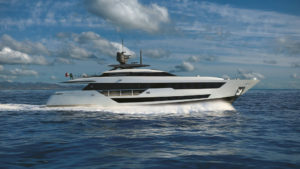 Featuring a super-sporty profile and a design enhanced by shaped glass windows and chrome-plated inserts, Riva 110’ Dolcevita is the result of the collaboration between Officina Italiana Design, the studio founded by Mauro Micheli along with Sergio Beretta, and Ferretti Group’s Product Strategy Committee and Engineering Department. Like a luxurious loft, open to the sea on every side, Riva 110’ Dolcevita offers 270° of absolute visibility and enables the lounge to reach a height of 2.30 metres, thanks to a large stainless-steel frame that supports the superstructure, acting as a frame for the floor-to-ceiling windows. The area is thus free from interruptions, bathed with natural light. In addition to the innovative “spider frame” structure, one of the particular features of this model is the total liveability of the spaces. The exterior areas of the flybridge and bow are interconnected, thus creating an “infinity deck” of approximately 34 m2 of social areas from extreme stern to extreme bow, in a single solution of continuity. 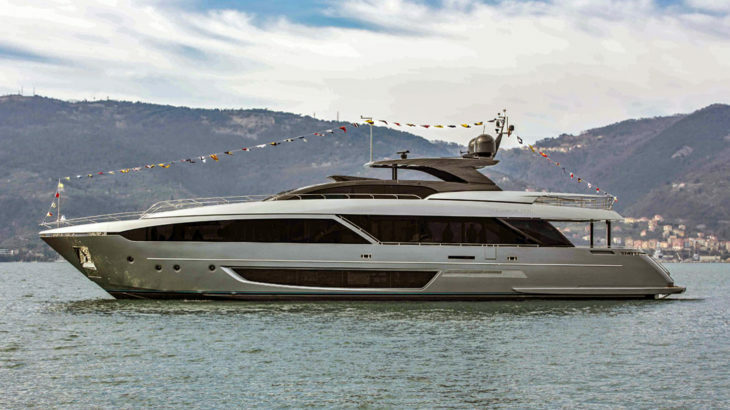 With its 34 metres of overall length (109.1 feet), with beam wider than 7 metres (22 feet), and a completely new hull design, the Riva 110’ enters the nautical world as a flybridge of immeasurable beauty.